Posted February 12, 2019 by NSW Courts & filed under Criminal Law, NSW Courts. On 15 July 2015, inmates Brandon Moussa and Michael De Gruchy were standing in a corridor close to a public phone box at Parklea Correctional Centre. The pair were out of their cells as it was recreation period. Moussa grabbed De Gruchy, pushed him up against the wall and started punching him. As this was occurring, Benjamin Banks walked towards them and stabbed De Gruchy with a shiv: a prison-made knife-like weapon. Banks then handed it to another inmate, who disposed of it in a bin. Mr De Gruchy cried out for help and a guard escorted him to the clinic. Whilst there, he told prison officers what had happened, claiming that Moussa had stabbed him. However, CCTV footage revealed that Banks was also involved in the attack. De Gruchy was taken to Westmead Hospital, where a single stab wound was identified just above his left hip. The wound was sutured, and he was treated with antibiotics. He was released back to prison the next day. Banks pleaded guilty in the NSW District Court to one count of recklessly wounding in company, contrary to section 35(3) of the Crimes Act 1900, which carries a maximum penalty of 10 years in prison. A standard non-parole period (SSNP) of 4 years also applies to this offence. An SNPP is a reference point for the sentencing judge when determining the minimum time a person must spend behind bars before being eligible to apply for release on parole. Judge Jeffery McLennan found the attack was “clearly motivated by revenge” and had the “hallmarks of vigilantism”. He determined that although the wound wasn’t “severe”, the victim had been “softened up” and was “clearly defenceless”. His Honour made clear that while “the psychological drivers for his conduct can be understood, they cannot be endorsed by the court”, concluding that the offence was in the mid-range of objective seriousness. On 9 March 2017, Mr Banks was sentenced to 4 years and 6 months in prison, with a non-parole period of 3 years and 3 months. This sentence reflected a 25 percent discount in recognition of the utilitarian value of his early guilty plea, which means the time and money saved by not having to conduct a trial. Banks appealed his sentence to the NSW Court of Criminal Appeal (NSWCCA) on 20 January last year. Acting Justice Carolyn Simpson, Justice Robert Hulme and Acting Justice Peter Hidden presided over the case. The appellant relied upon three grounds of appeal. The first was that the sentencing judge made an error in finding that the objective seriousness of the offence was in the mid-range. The panel of justices didn’t agree with this ground. They found that the “assessment of gravity” is a “discretionary process” that a sentencing judge exercises and there’s no “definitively ‘correct’ answer”. For these reasons, it was open for Judge McLennan to find this level of objective seriousness. The other two grounds of appeal were that the sentencing judge had made an error in making the sentence wholly consecutive to the sentences Banks was already serving, as well as being at fault for not finding special circumstances. Section 44 of the Crimes (Sentencing Procedure) Act 1999 stipulates that a parole period must not exceed a third of the time an offender must remain in prison. However, if a judge finds special circumstances more time can be spent in the community under supervision. The justices found that the further two grounds were linked and could therefore be dealt with together. Their Honours explained that at the time of the offending, Mr Banks was already serving a prison term for larceny and was also on remand for armed robbery. Banks was eventually sentenced to 14 years prison time in relation to the robbery charge. He was given a 10 year non-parole period, which expires on 31 December 2025. This is the date Judge McLennan ruled that the sentence for reckless wounding would commence. The NSWCCA justices pointed to section 56 of the Sentencing Procedure Act, which provides that a convicted inmate who commits an assault should be sentenced to prison and the new sentence should begin after the one they are currently inside for expires. The section also provides that the court can determine that a sentence be served partly or wholly concurrently. The panel of justices pointed out that the sentencing judge had found that the “legislative policy” required him to commence the new sentence after the other had expired. Referring to the aforementioned section 44 of the Sentencing Procedure Act, the justices pointed out that a non-parole period must not be less than 75 percent of an overall sentence, unless special circumstances are found, which weren’t found by the sentencing judge. However, the panel explained that when you took into consideration all of Banks’ separate sentences, they added up to 15 years, 8 months and 29 days, with a non-parole period of 14 years, 5 months and 29 days. This meant the non-parole period was actually 92 percent of the sentence. “It would be in the interests of the community, as well as the applicant, that a longer period of supervision be available,” the NSWCCA justices ruled. They further remarked that the sentencing judge had failed to consider the overall time spent in detention. So, this ground was upheld. Their Honours agreed with the sentencing judge in finding the objective seriousness of the crime was mid-range. However, they found that the starting point of the undiscounted sentence, which was 6 years, was too long. They determined that the appropriate length should have been 5 years. So, following the application of the discount, this new sentence would amount to 3 years and 9 months gaol time, with a non-parole period of 2 years and 9 months. The sentence was backdated, so it would be served concurrently with the robbery sentence. This meant that the new parole period was extended a further year, so if the offender was released at his first opportunity, he would now spend three years on parole. The new non-parole period was now 80 percent of the overall head sentence. 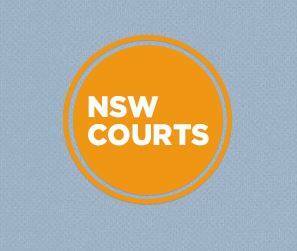 On 21 March last year, the NSWCCA ordered that the appeal be allowed, and the NSW District Court sentence be quashed. Mr Banks is now eligible for parole on 31 December 2026.  NSW Courts is a website created by Sydney Criminal Lawyers® with legal articles and information about courts throughout NSW.